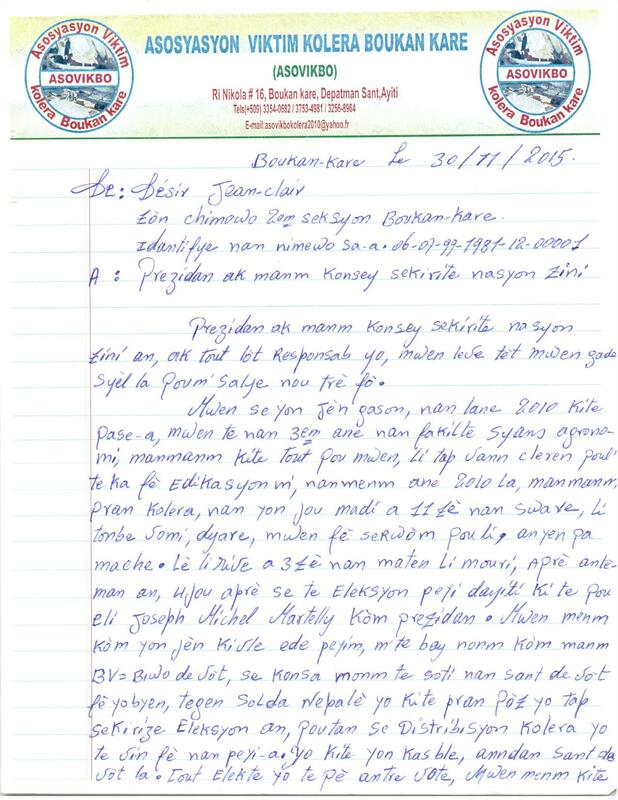 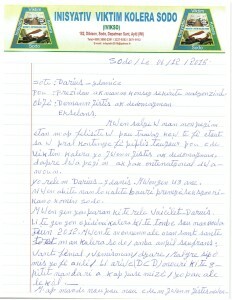 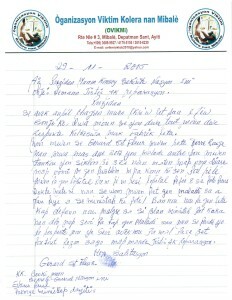 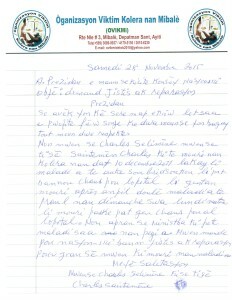 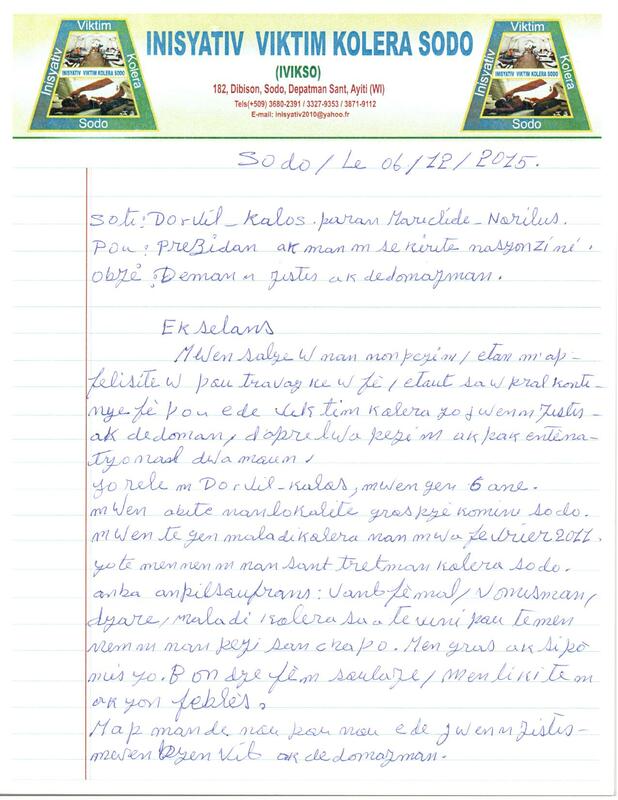 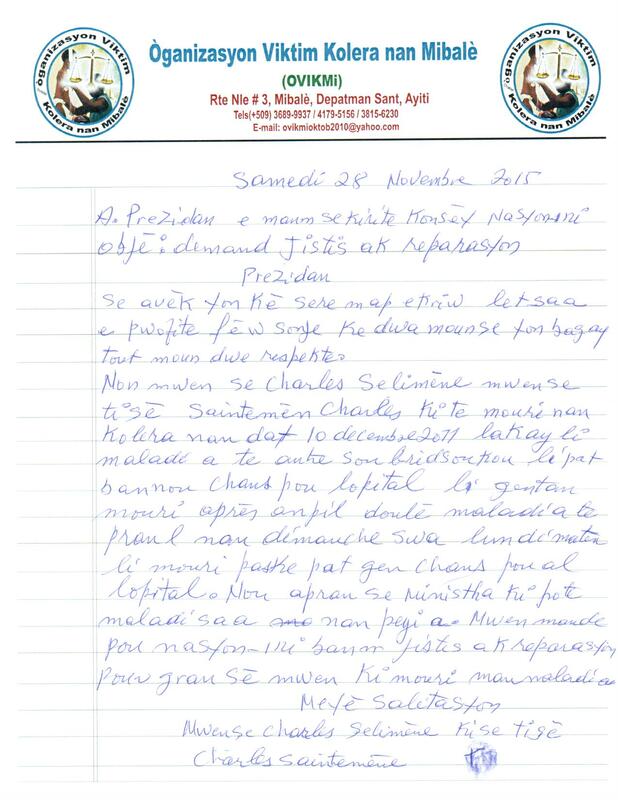 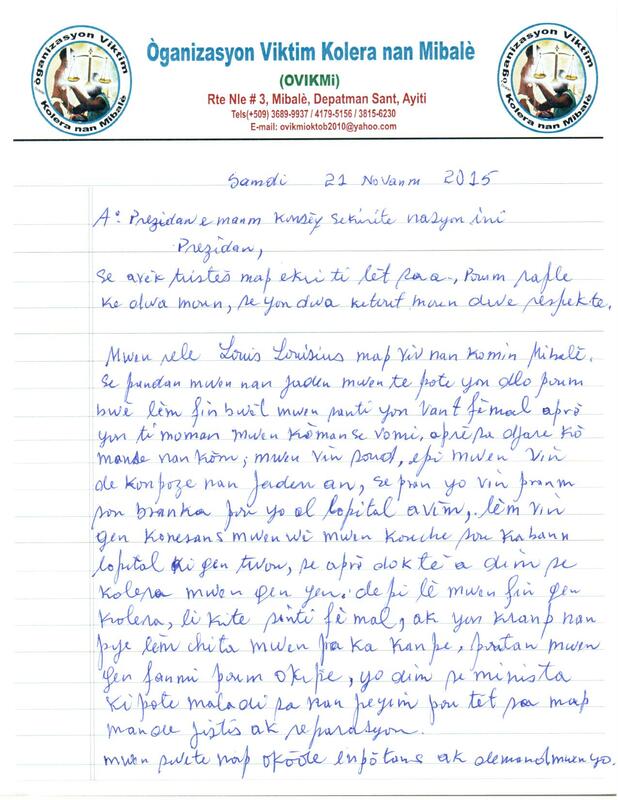 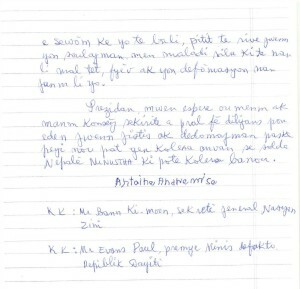 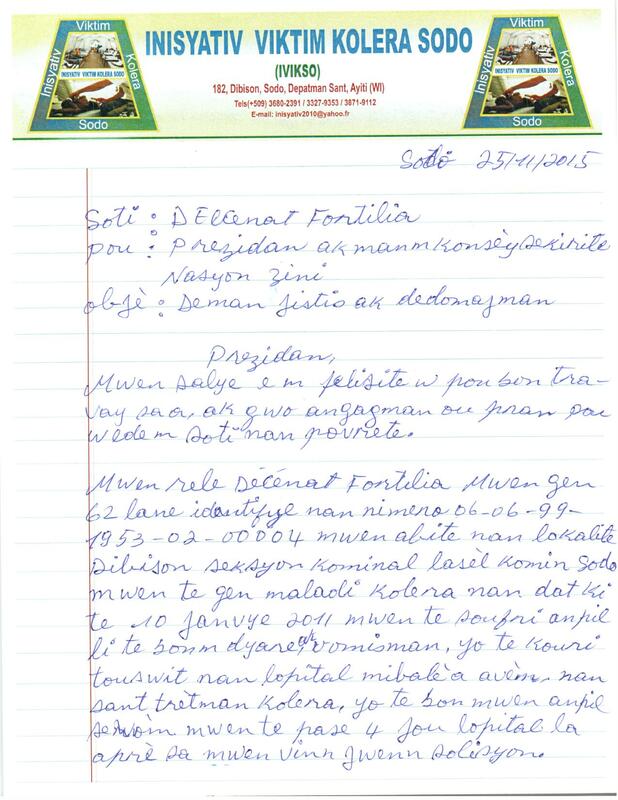 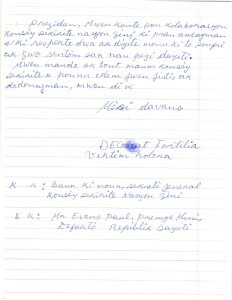 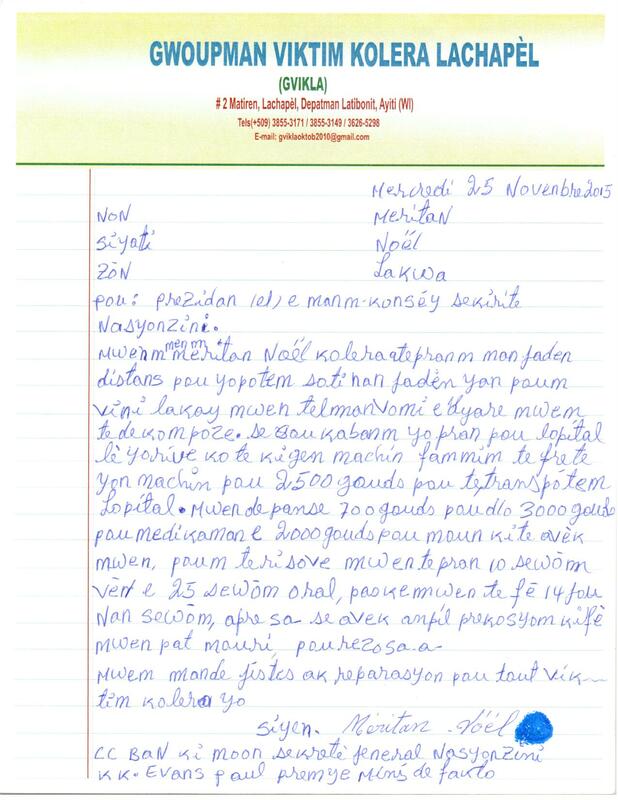 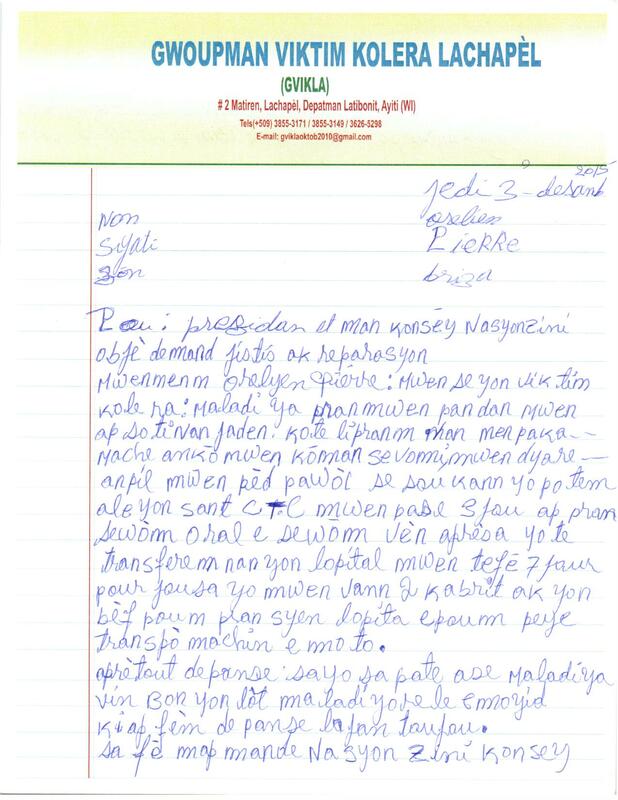 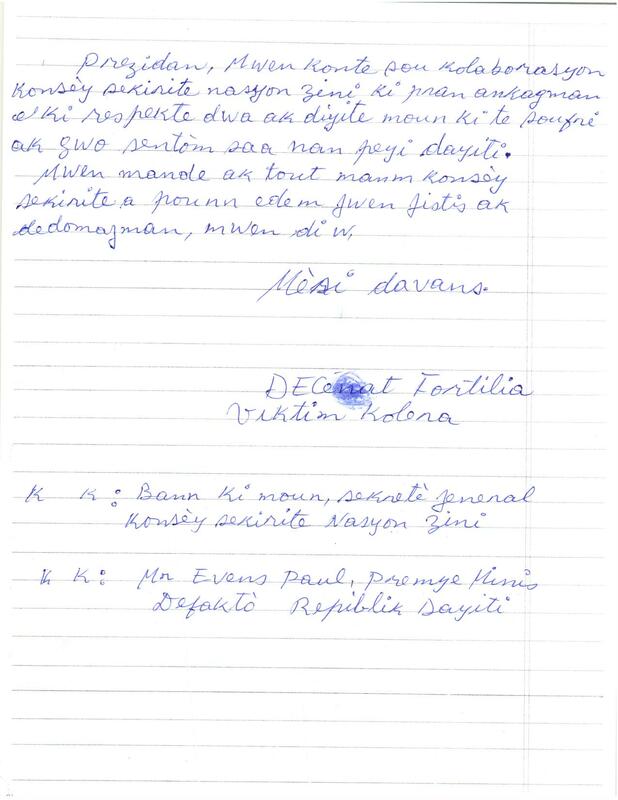 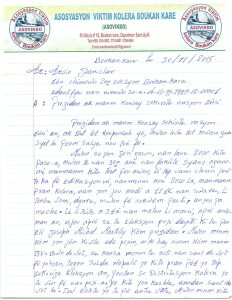 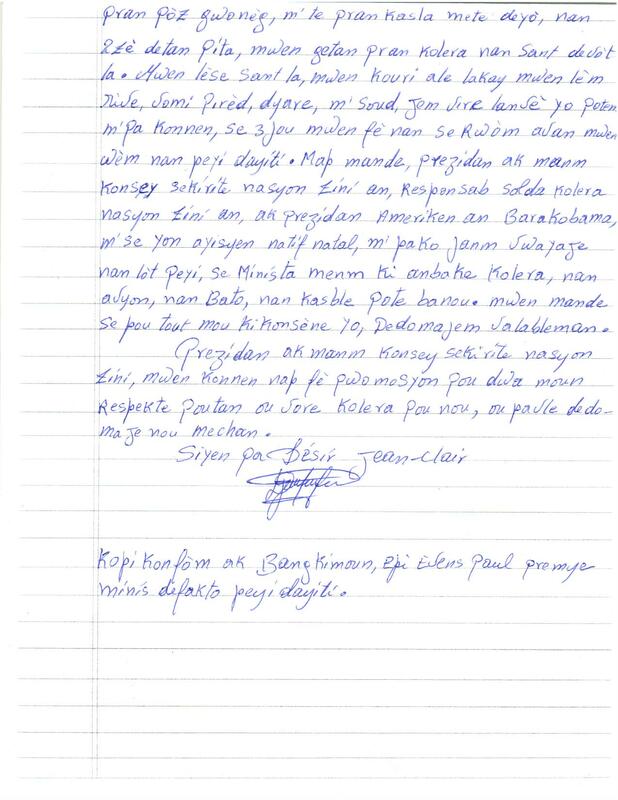 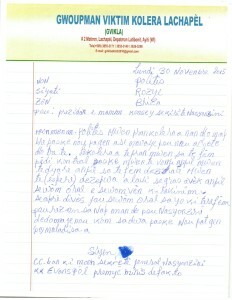 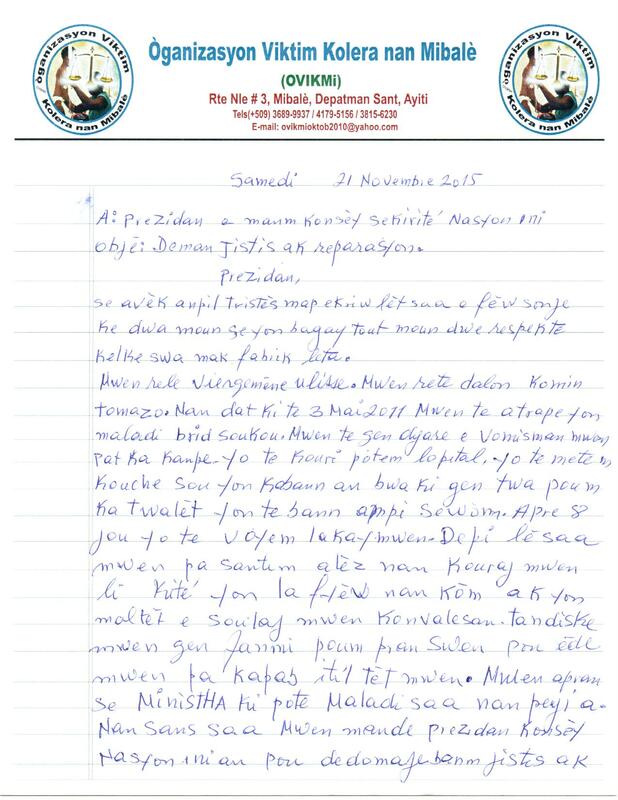 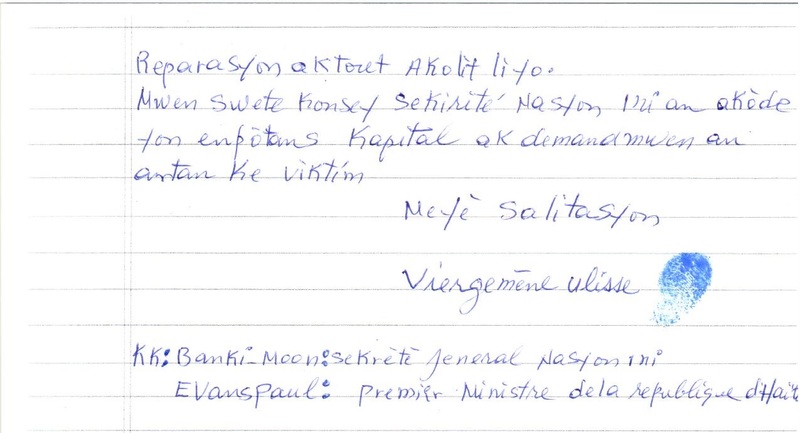 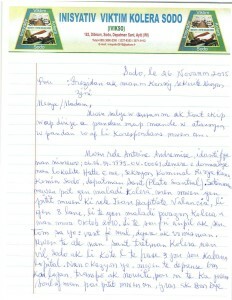 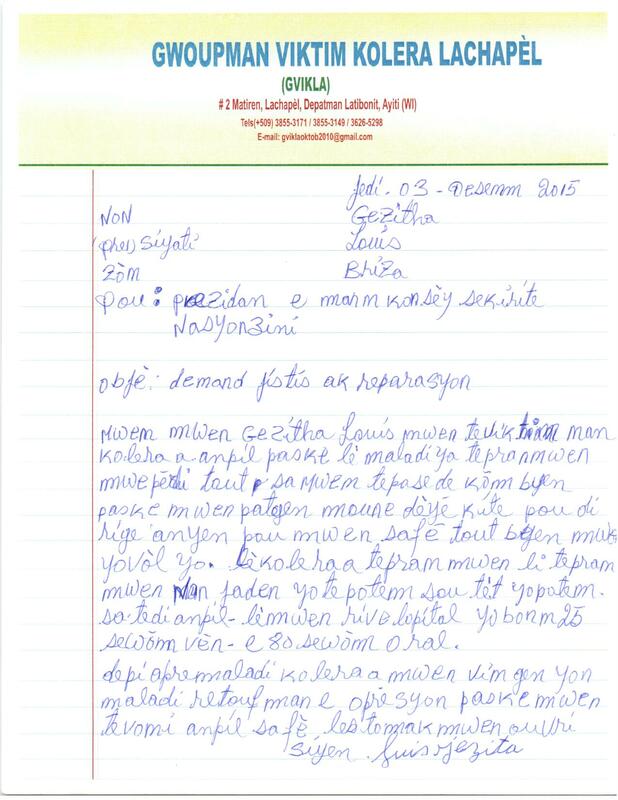 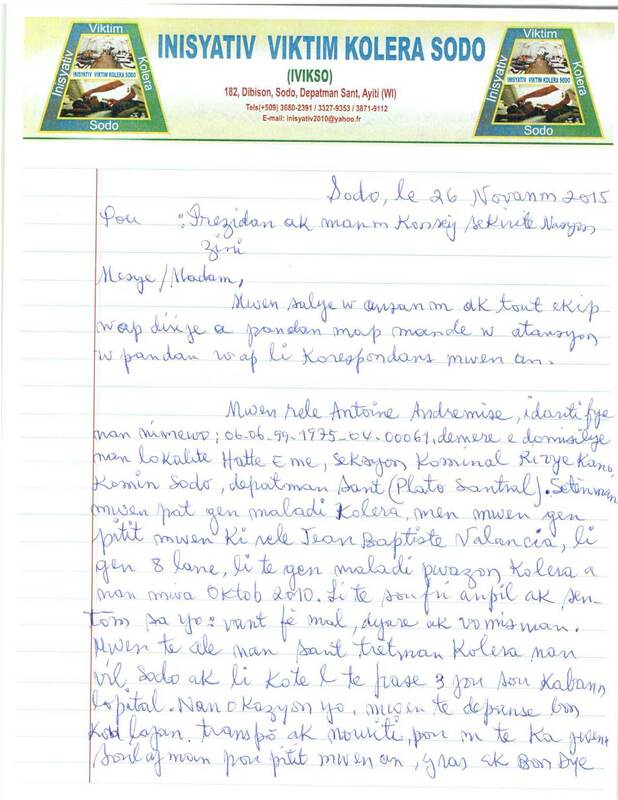 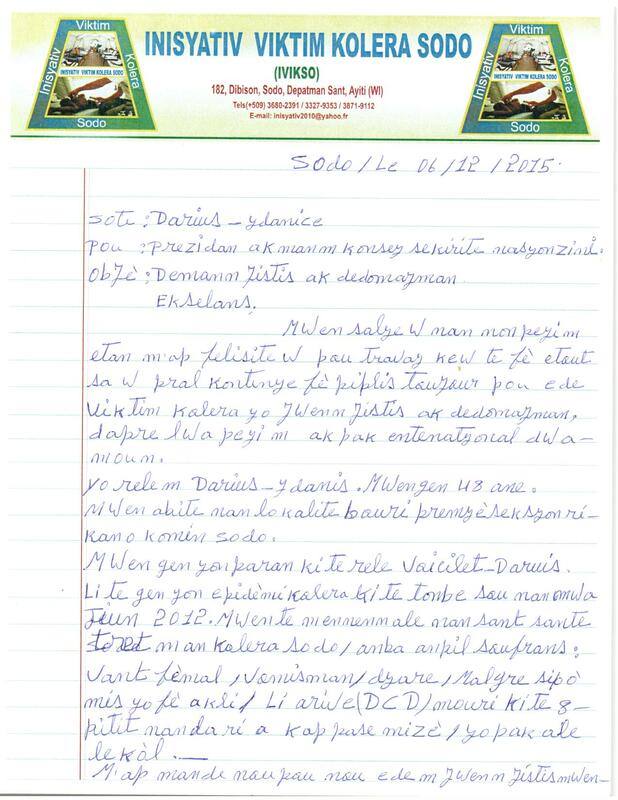 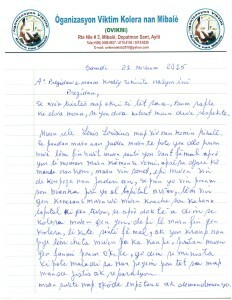 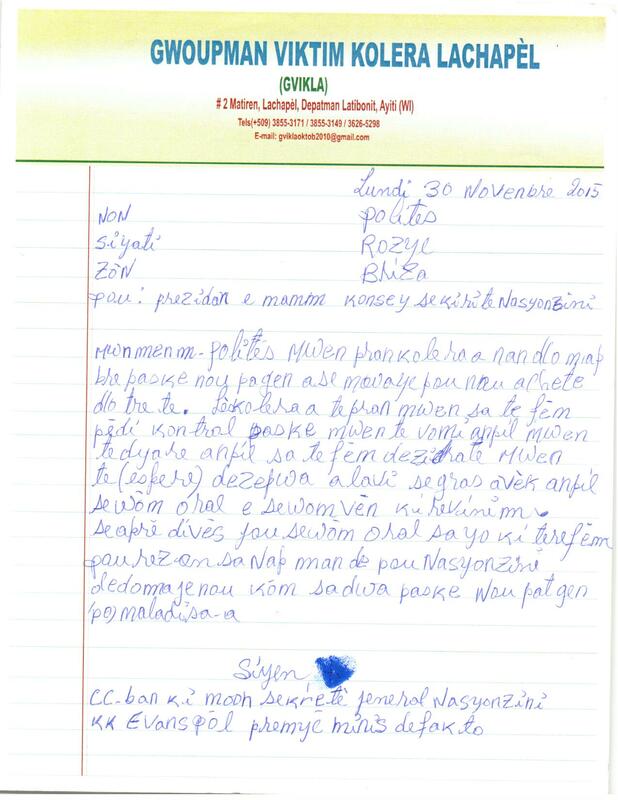 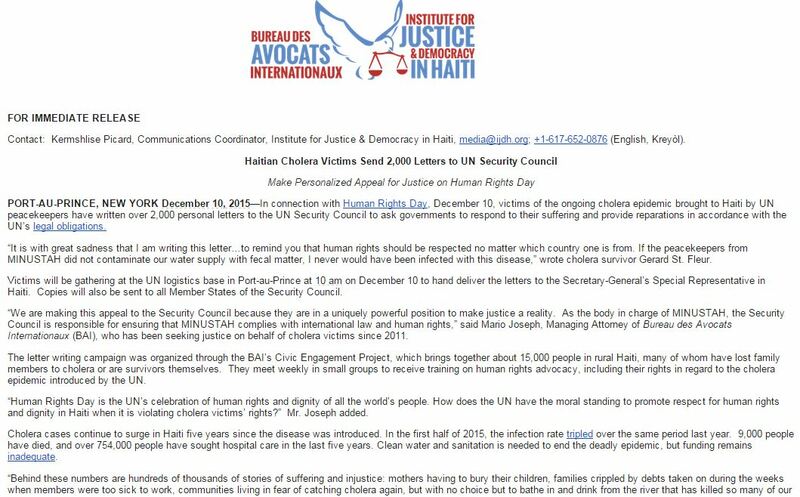 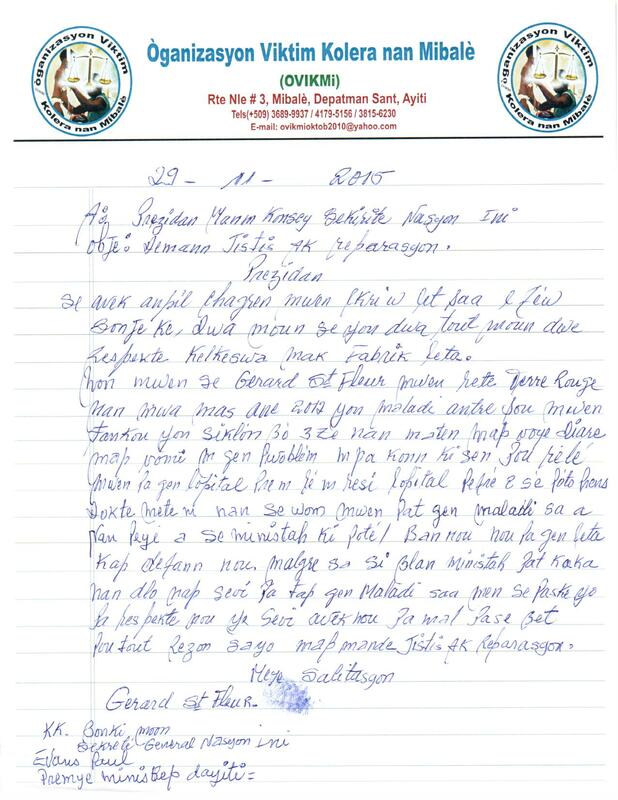 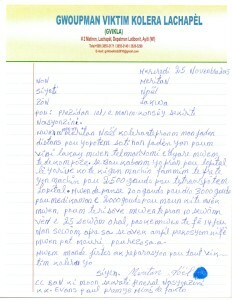 In connection with Human Rights Day, December 10, victims of the ongoing cholera epidemic in Haiti have delivered over 2000 handwritten letters to the UN. 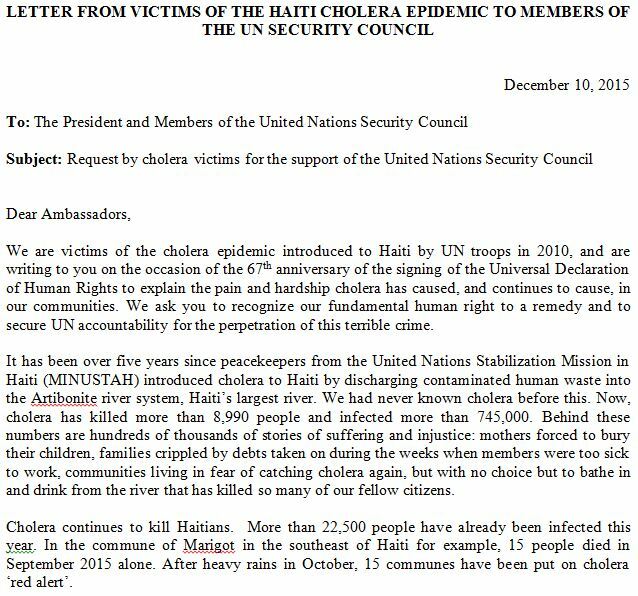 The letters are personal appeals for the UN to live up to its own human rights obligations and provide justice and reparations to those who have suffered so much from cholera. 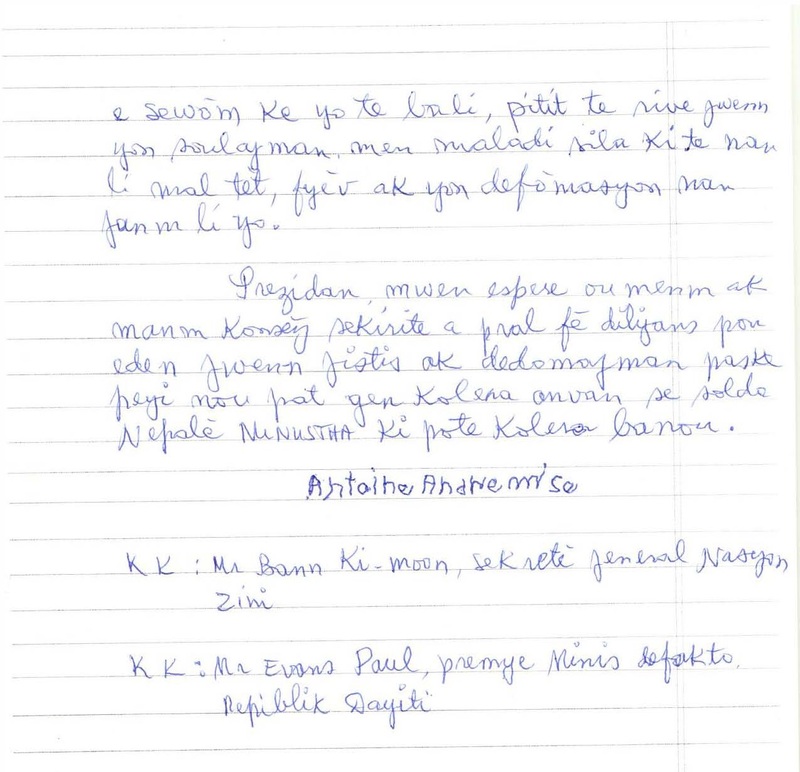 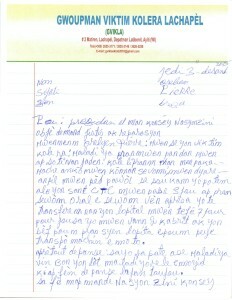 Here are some of the letters from the cholera victims. 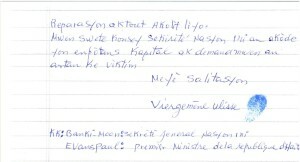 The rest will be continually added HERE.